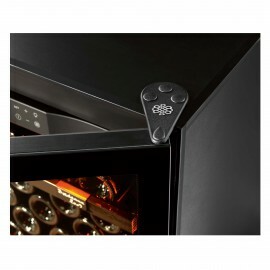 With its basic, essential features, this wine cabinet meets all of your professional requirements. Thanks to its temperature range of 6°- 18°C , this single-temperature cabinet stores your wine in optimal conditions or can be transformed into a wine serving cabinet for red or white wine. This model from EuroCave Professional's Series 3000 range is a simple, functional product which will meet the requirements of all professionals. 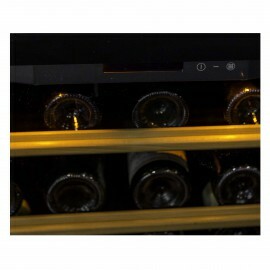 - The Premium pack: it is made up of 13 sliding shelves for a capacity of 189 bottles. - The Display pack: it is made up of 5 storage shelves which can be used to stack bottles or display some of your bottles at the front of the shelf. The maximum capacity for this layout is 230 bottles. If you want to use this layout to display your bottles, the capacity will then be 170 bottles maximum. Functional and attractive with its clean lines, Series 3000 is a reliable range which meets the criteria required for a wine cabinet. The discreet simplicity of the design of its cabinets makes them user-friendly and enhances the appearance of your bottles.